WASHINGTON — Now that FBI agent Peter Strzok has appeared before Congress and told us nothing that we did not know, it is time for President Donald Trump to act. Strzok looked like a cocky crook testifying to Congress about a failed con job. His appearance was utterly astounding. He actually smirked at the assembled elected officials of government. He smirked from morning until late in the afternoon when Congress finally adjourned, though admittedly, by late in the afternoon, the wind was pretty much out of his sails and his smiling face most assuredly ached. He looked deflated, and if he was eager for anything, it was for the exit and the arms of his paramour, former FBI lawyer Lisa Page. His demeanor was not that of a stalwart FBI agent appearing before the Congress of the United States to inform the citizenry but like that of John Gotti or one of the other hoods whom a better generation of FBI agents than Strzok’s once put behind bars. At some point in the near future, a reflective Congress might — in a bipartisan moment — investigate how the FBI became a tool of elitist interests in our nation’s capital. Then, too, Congress could offer suggestions as to what could be done to repair the damage. Federal law enforcement becoming so flagrantly political is genuinely alarming. I think President Trump has subtly brought the left and the right in this country together, at least on one point. The time has come for the citizenry to see all the documents held by the government in the so-called Russian collusion scandal. Was there collusion? Who was involved? 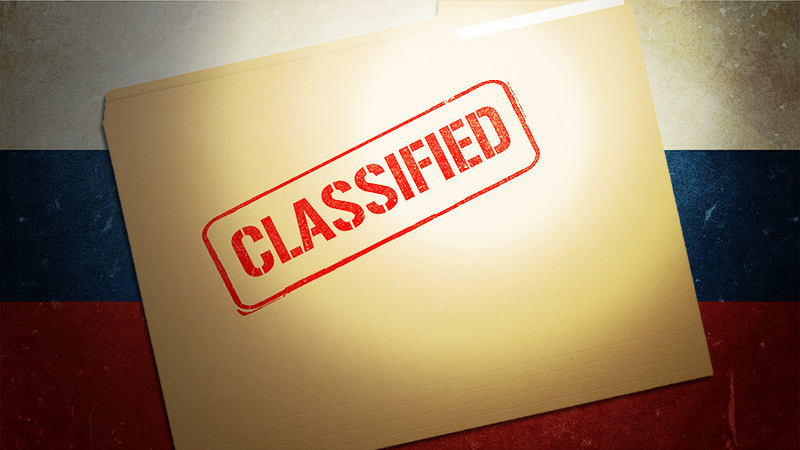 The president has it in his power to declassify the documents. Use your faithful weapon, Mr. President, your trusty black felt pen. Sign the declassifying order now. Pressure is building from both ends of the spectrum. Last weekend, the editorial page of the Wall Street Journal called for declassification of the documents. Strzok did tell his intrepid inquisitor, Congressman Jim Jordan, that over at the Justice Department, one Bruce Ohr did serve as the quiet conveyor of opposition research from the Clinton front group Fusion GPS to the FBI. Oh, yes, and Ohr’s wife worked for Fusion GPS. And by the way, Ohr, and perhaps a dozen others involved in this Camorra to discredit Trump, go back years, many to their college days as young socialists at Cambridge and select American universities. “This means that,” as the Journal pointed out, “Fusion, an outfit on the payroll of the Clinton campaign, had a messenger on the government payroll to deliver its anti-Trump documents to the FBI. This confirms that the FBI relied on politically motivated sources as part of its probe, even as Strzok insists he showed no political bias …” Strzok is even more brazen than members of the Cosa Nostra. Specifically, the Journal called for the release of FISA applications. They will show how heavily the FBI relied on former British spy Christopher Steele’s dirty dossier. They will also show how candid the Justice Department and the FBI were in seeking the FISA subpoenas from the Foreign Intelligence Surveillance Court. The Journal also called for release of documents related to the so-called Woods procedures, which will show how the FBI verified evidence it used to justify eavesdropping on the Trump campaign. There are also documents called 302s and 1023s, documents that would show how the FBI dealt with Steele, Fusion GPS and other informants, for instance Dan Jones and my old friend Stefan Halper. — The president should declassify all communications between Strzok and John Brennan, President Barack Obama’s director of the CIA. Their shared hatred for Trump lies at the root of the Obama administration’s decision to spy on the Trump campaign. Declassify the documents, and let the questioning begin. — He should also declassify any documents that shed light on Brennan’s “working group at Langley.” When did the group begin its work? Who participated? — He should declassify any documents that shed light on the internal discussions or debates about whether or not to open up a probe of the Trump campaign. Did any FBI officials dissent from the decision? If so, who are the officials? — He should declassify any documents related to the Brennan-generated leak to then-Sen. Harry Reid. My guess is that Brennan has a lot of questions to answer, as this week’s tweets suggest. Strzok’s appearance before the Congress was very amusing. Now it is time to come up with answers to the question of Russian collusion or collusion by anyone else in the 2016 election. Mr. President, you can do it. Emmett Tyrrell Jr. is founder and editor-in-chief of The American Spectator. He is a senior fellow at the London Center for Policy Research and the author, most recently, of The Death of Liberalism, published by Thomas Nelson Inc.
Amen. Given the level of outright deception in the MSM today (and that many actually get their news from late night entertainment, which is even more deceptive if that’s possible) it’s imperative to have the record laid bare for all to see and reference. Frankly, that’s possibly the only chance the truth-tellers have at convincing the indoctrinated of the actual truth.